Brick/Block... What is it called??? Looks like Block to me . Agree… CMU’s… Concrete Masonry Units. “Block” would be the inspector ‘slang’ word. Interesting I went to Home depot where I think most people would go and they had no listing for your information . Oh well. Guess that’s just anotehr thing that separates the Americans from the Canadians!! Oh well. Guess that’s just another thing that separates us Americans from you Canadians!! We should build a wall! Bricks or blocks, decisions decisions! They use the slang word a few times here! Concrete masonry unit (CMU) Concrete blocks may be produced with hollow centers to reduce weight and improve insulation. The use of block work allows structures to be built in the traditional masonry style with layers (or courses) of staggered blocks for strength and effective space usage. We all know when doing any work in the New York, New Jersey,Connecticut appropriate space usage is a key and important factor within any home or construction site. Concrete Blocks come in various sizes. We offer a huge selection of sizes for your concrete block to find out which size will work best for your job site. Also referred to as cement block, and foundation block – is a large rectangular brick used in various areas of construction. Concrete blocks are made from cast concrete, i.e. Portland cement and aggregate, usually sand and fine gravel for high-density blocks. 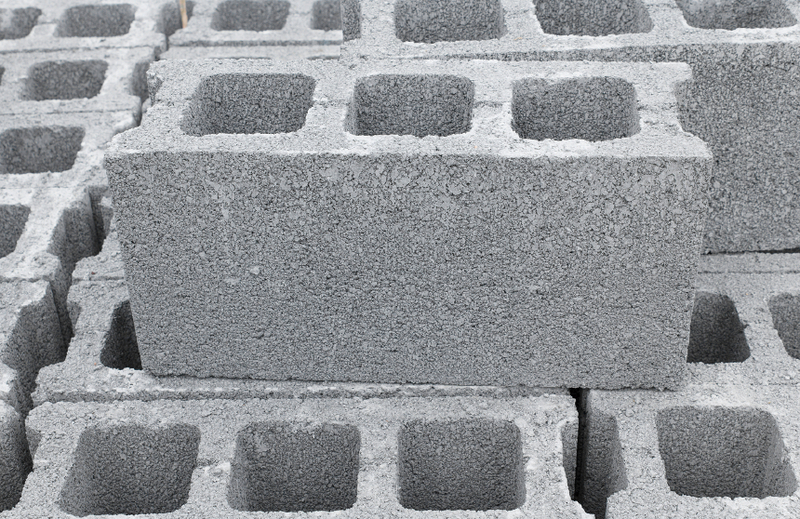 Lower density blocks may use industrial wastes as an aggregate.The concrete blocks that we offer to the tri state area will look fantastic, and are available at a highly competitive price,making sure that the job that you need done wont break the bank. We provide only the highest quality to fit your specific needs. Do you know the definition of Concrete?.. a heavy, rough building material made from a mixture of broken stone or gravel, sand, cement, and water, that can be spread or poured into molds and that forms a mass resembling stone on hardening.